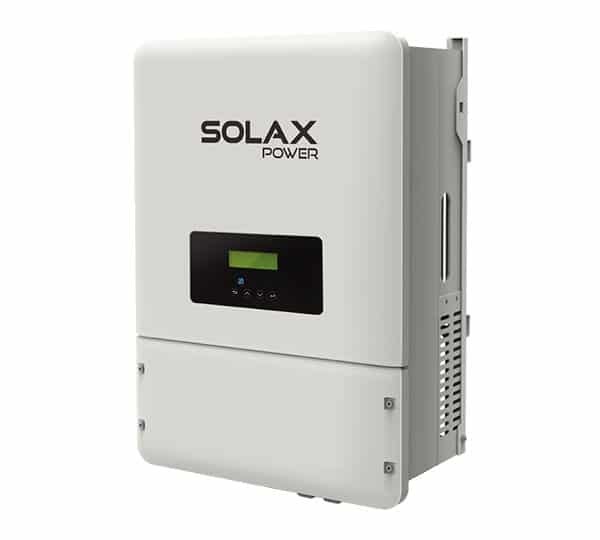 The new Solax X3 Hybrid 10.0-T 3ph 10kW Solar Inverter is the latest incarnation of the market leading range of hybrid inverters, offering a flexible and scalable solution for both domestic and commercial applications. The Solax X3 Hybrid 10.0-T 3ph 10kW Solar Inverter combines network, direct energy from solar panels and batteries, a very efficient manager for self-consumption installations. The X-Hybrid Three Phase is rated for indoor & outdoor use. Compatible with Solax HV Triple Power, LG Chem RESU 7H/10H & BYD B-Box HV Lithium Battery.